Prominent & Leading Manufacturer from Jaipur, we offer tropical kantha jacket, vintage kantha jackets, kantha jackets, reversible kantha jackets, ladies kantha jacket and designer kantha jackets. This is reversible jacket and can be worn from both sides. This is genuine piece of art and made for art lovers. Our prices are always very reasonable and please compare our price with other on internet and you will find us very reasonable. KANTHA means simple stitching in Hindi. For more than 400 years, KANTHA quilts have been made in Bengal, India using many layers of old saris. Each is unique. The jackets are made India. 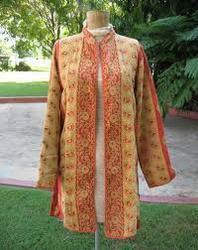 Vishal handicraft provided a high fashion of kantha jackets and scrafs. We are the best leading supplier and manufacturer of vintage Kantha. We are establised in 2004 in this field. Our company is a reputed company in market. We are the supplier, manufacturer , wholesaler and exporter of vintage textile. Vishal handicraft offer Kantha Jackets to meet the exact demands of clients, we manufacture and supply a unique collection of Ladies Quilted Jackets. These are very appealing in look and admired for their designer appearance, durability and easy maintenance. With the availability in various standard sizes, designs and patterns, these are available at market leading rates. Besides, we ensure easy maintenance, color fastness and durability of our jackets. We are the maintain the quality of before offering the range of goods. We are based in Jaipur last 10 years. And continue we provided a new range of fashion. Being one of the prominent manufacturer and supplier, we are involved in offering a unique collection of Cotton Printed Quilted Jackets. Our Cotton Printed Quilted Jackets are extensively demanded owing to its appealing look, fine finish and exclusive designs. These Cotton Printed Quilted Jackets are fabricated from optimum quality fabrics which are procured from trustworthy vendors of the market. Our Cotton Printed Quilted Jackets are admired by various clients owing to its alluring patterns and perfect fitting PERFACT STICHING, FINE QUALITY PROVIDED BY VISHAL HANDICRAFT. 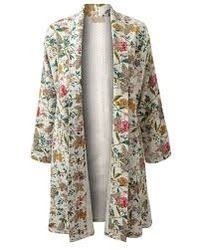 Beautiful long jacket for women. Very fine Kantha quilt is used to make this masterpiece. It is lined with another printed cotton and in between these 2 layers of cotton, there is another layer of cotton that makes this jacket warm and strong. So both side different printed cotton makes this reversible and unique. 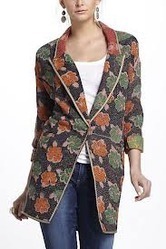 Specialty of this jacket is fine hand quilting that hold all 3 fabric together. It takes long time to quilt one jacket. This art of hand quilting is called Kantha work and it comes from West Bengal. It is rare art and hard to find artists to do this quilting by hand. 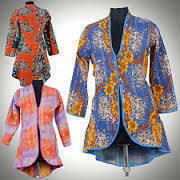 That is why other sellers and even we are selling other similar jackets with HAND quilting. VISHAL HANDICRAFT IS A NAME OF TRUSTED COMPANY WHERE YOU FOUND A HIGH RANGE OF FASHION APPARELS. Vishal handicraft offer 'Tropical Kantha Jacket'. Very fine kantha quilt is used to make this masterpiece. Specialty of this jacket is fine hand quilting that hold all 3 fabric together. It takes long time to quilt one jacket. This art of hand quilting is called katha work and it comes from West Bengal. It is rare art and hard to find artists to do this quilting by hand. That is why other sellers and even we are selling other similar jackets with HAND quilting Provided by vVshal handicraft. A name of trust in fashion market. 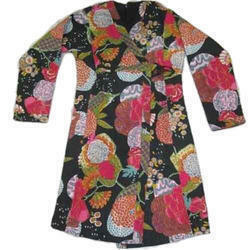 We are the best leading supplier and manufacturer of Kantha jackets.